Aids to daily living including lamp switches. Easy to see, grip and turn. 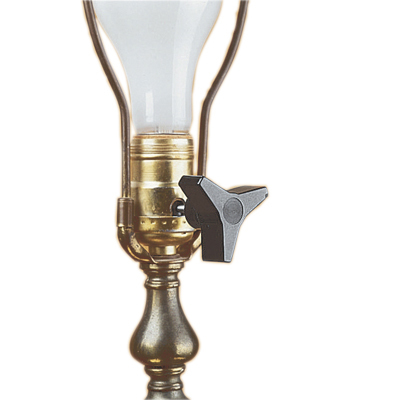 2"diameter, three-spoked knob creates more leverage to turn lamp switches on and off. Unscrew and remove the original knob and replace with Big Lamp Switch. Bag of 3; Easy to see, grip and turn. 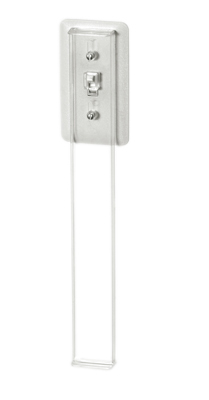 2"diameter, three-spoked knob creates more leverage to turn lamp switches on and off. Unscrew and remove the original knob and replace with Big Lamp Switch. 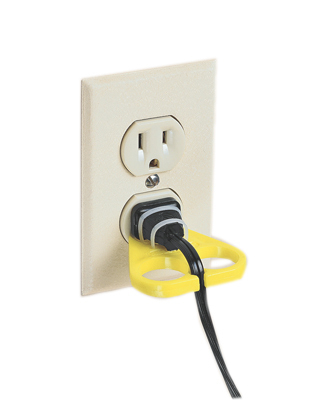 Attaches permanently to plugs. Secure with supplied plastic ties. Has two large finger holes that make it easy to hold and manipulate.